American Cherry Martha Washington armchair with a serpentine back, reeded scrolled arms, curvature seat and resting on the original tapered squared splayed legs, Early 19th Century, New England. 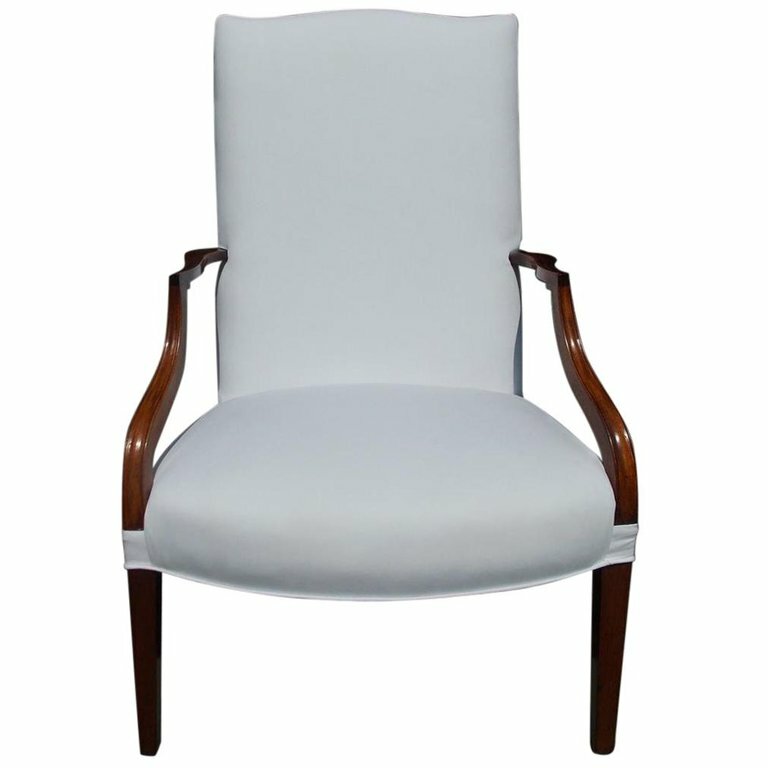 Chair is upholstered in white muslin with horse hair and cotton padding. H 46 in. x W 27 in. x D 22.75 in.